Our patient-centered approach and innovative technology allows primary care physicians and care teams to follow every step of their patients’ care. 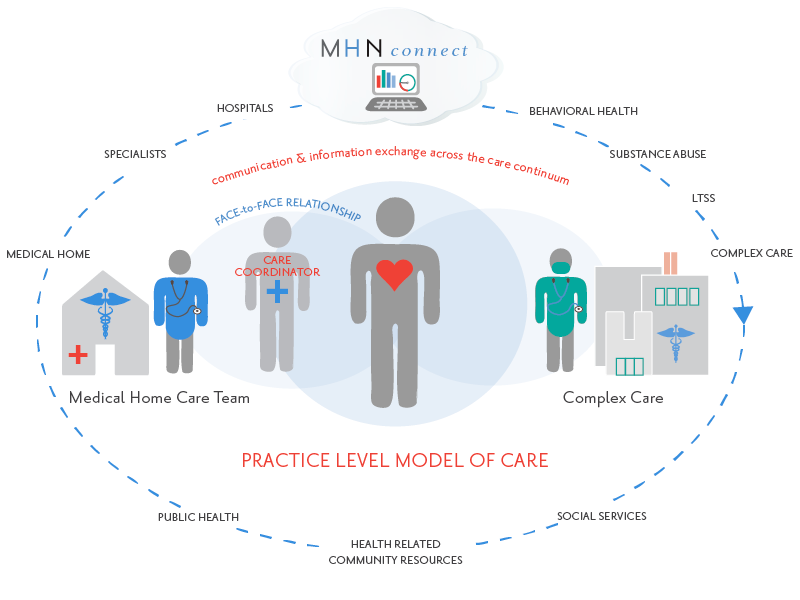 We are supporting practice transformation by using a team-based model of care that emphasizes care management at the practice level. We use an integrated, patient-centered approach that relies on a primary care physician and care team who follow a patient’s care throughout the entire health care continuum. Our care management teams are trained to use data to coordinate and enhance care. An important part of this model is engaging patients to become active members of their own care team, which has proven to be extremely valuable in improving health and overall wellness.